Product prices and availability are accurate as of 2019-04-19 03:03:41 UTC and are subject to change. Any price and availability information displayed on http://www.amazon.co.uk/ at the time of purchase will apply to the purchase of this product. 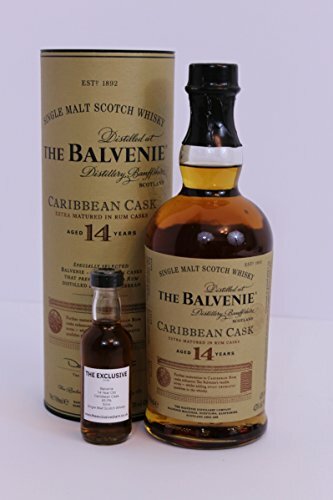 We are happy to present the brilliant Balvenie - 14 Year Old - Caribbean Cask - 43.0% - *50ml Sample*. With so many on offer these days, it is great to have a name you can trust. 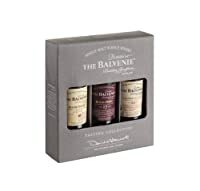 The Balvenie - 14 Year Old - Caribbean Cask - 43.0% - *50ml Sample* is certainly that and will be a great purchase. 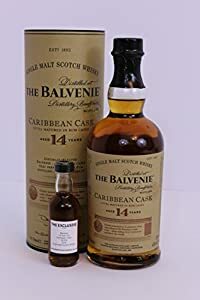 For this reduced price, the Balvenie - 14 Year Old - Caribbean Cask - 43.0% - *50ml Sample* is highly recommended and is always a popular choice with most people. Balvenie have included some excellent touches and this equals great value. 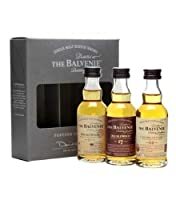 Category - Single Malt from Speyside, Scotland •Distillery - Balvenie •District - Speyside •Bottler - Distillery Bottling •Bottled - 2015 •Bottling Series - Sherry Oak •Age - 14 years old •Cask Type - Rum Cask Finish •Strength - 43.0 % Vol.